This particular piece was inspired by the work of Salvador Dali, one of the greatest surrealists. The starting image was a photograph of a glass head which one sees often in Hi-Fi shops, usually wearing a set of headphones. As so often happens when one works in Photoshop without a specific brief one’s imagination can run riot, which can lead down many unforeseen paths. 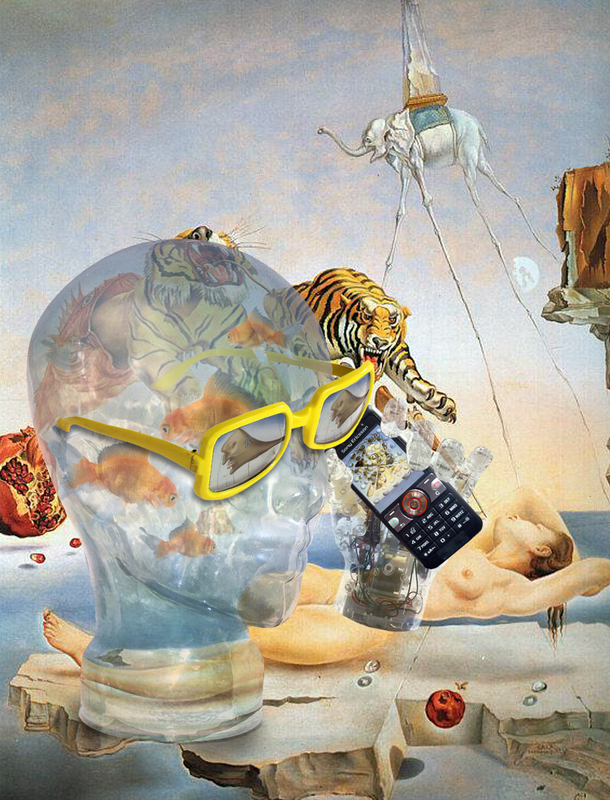 Once hooked on the surreal idea I just let rip with Dali’s work. I always find great delight in making glass transparent and refractive in Photoshop. Sorry dear, I’ll be late home this evening; things are getting a little surreal around here at the moment!